Yo La Tengo provide an eclectic jumble of songs that whilst initially compelling, prove ultimately dissatisfying in contrast to the wild experimentation of their previous work. Yo La Tengo are, simply, alternative rock legends. Their discography encompasses a wide variety of genres and styles – a constantly shifting tapestry of influence, discovery and interpretation. On their new album, There’s A Riot Going On, the band continue this trend, but with a quality often hindered by its slow, meandering pace, and lack of anything to truly hook on to. The gorgeous opener ‘You Are Here’ is the album’s mission statement – a slow-burning, wistful track featuring a droning guitar that feels slightly out of focus, vibrating just behind the listener and pulling them into the headspace of the record. The track also exemplifies the title better than any other – the riot is present in the song within that fuzzed-out, wavering guitar, but never breaks the surface. The titular riot is truly only ‘going on’ – never in-your-face or affronting but an exterior trauma that hovers over the majority of the album, present in nooks and crannies of the soundscape created. Just a few tracks later we’re treated to another delightful single in ‘For You Too’, its propulsive drumming and Ira Kaplan’s strained vocals during the chorus complimenting its buzzing guitars perfectly. It’s not as brazen as fan favourites such as ‘Pass The Hatchet, I think I’m Goodkind’ nor is it as peaceful as ‘I’ll Be Around’ – instead of sitting perfectly in a middle ground of uneasy soft rock that isn’t quite matched anywhere else on the album. After such great singles, its incredibly disappointing that the band proceeds to stretch the record into its runtime of just over an hour through long stretches of placid, ambient experimentation that leaves plenty to be desired. The album’s centrepieces, ‘Dream Dream Away’ and ‘Shortwave’ are underwhelming and teeter on the verge of boring. 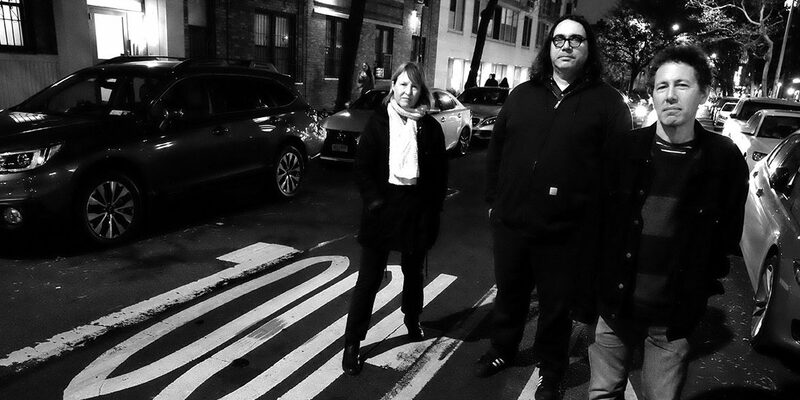 For such a stalwartly risky and genre-defying band as Yo La Tengo, the tame experimentation on these songs is reminiscent of the mid-career slump fans saw in albums like Murdering The Classics or Summer Sun. Other songs such as ‘Ashes’ or ‘Polynesia #1’ are instantly forgettable, coming and going without any lasting impact, so much so that they feel like filler, afterthoughts to pad out the album between its better moments. Occasionally these ‘filler’ tracks do push a little further out – notable examples being the eclectic, chaotic percussion on ‘Above the Sound’ or the incredibly funky bass on ‘Out of The Pool’ – but the moments are so few and far between that they sound like gimmicks, unfitting for a band normally so brazen in their song-by-song experimentation. There’s A Riot Going On suffers from what it eventually thrives on – an album that is neither noisy nor quiet ends up sitting in a middle ground that tires quickly. By the closing track, the shuffling and folksy ‘Here You Are’, the listener just wants to be shown the titular ‘riot’ to draw them out of the meditative, yet uncomfortable tone that lingers across its runtime. When it works, it really works, but far too many songs slide by without notice – ideas that have been stretched out too thin, lacking the vitality and daring nature the band is known for.